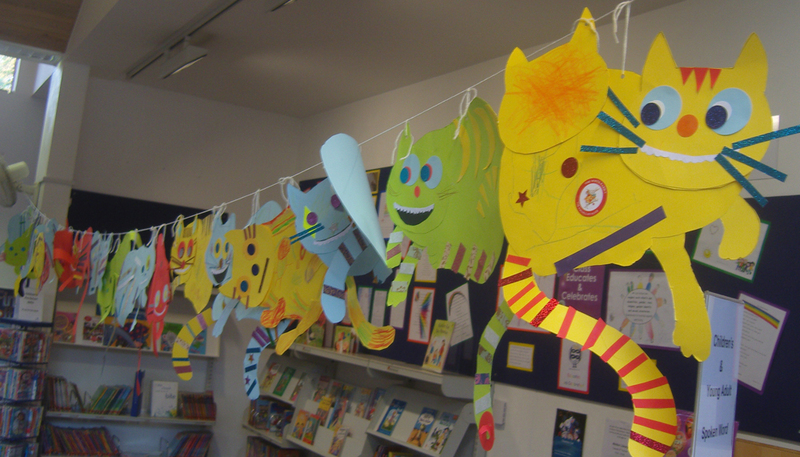 Cheshire Cats run amok in Essex Libraries! 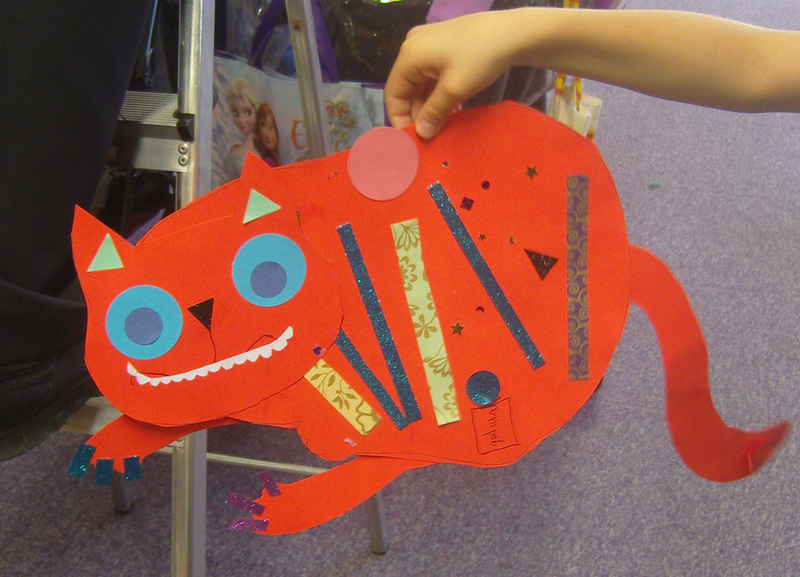 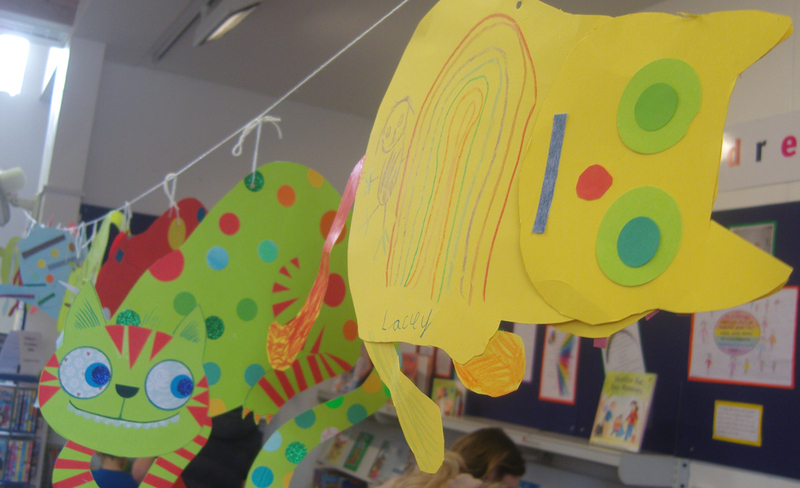 Last week I was joined by children in Witham, Basildon and Maldon libraries where we made scores of Cheshire Cats. 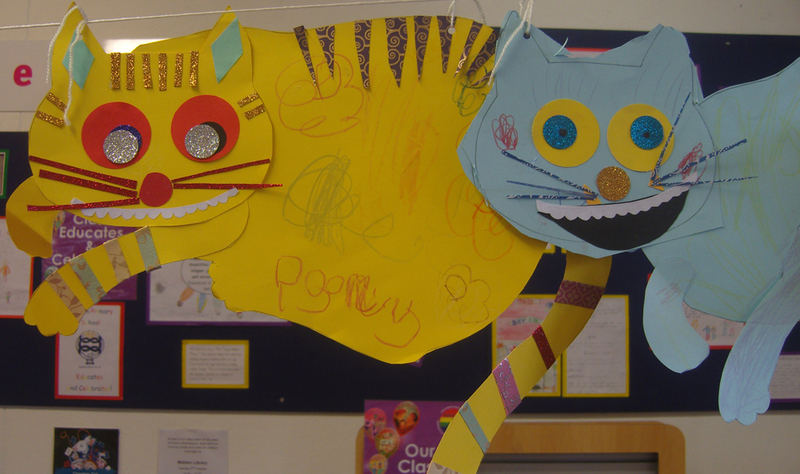 Being naturally solitary creatures, Cheshire Cats have rarely, if ever been seen in these kinds of numbers before, making this half-term a record-breaking Wonderland phenomenon! 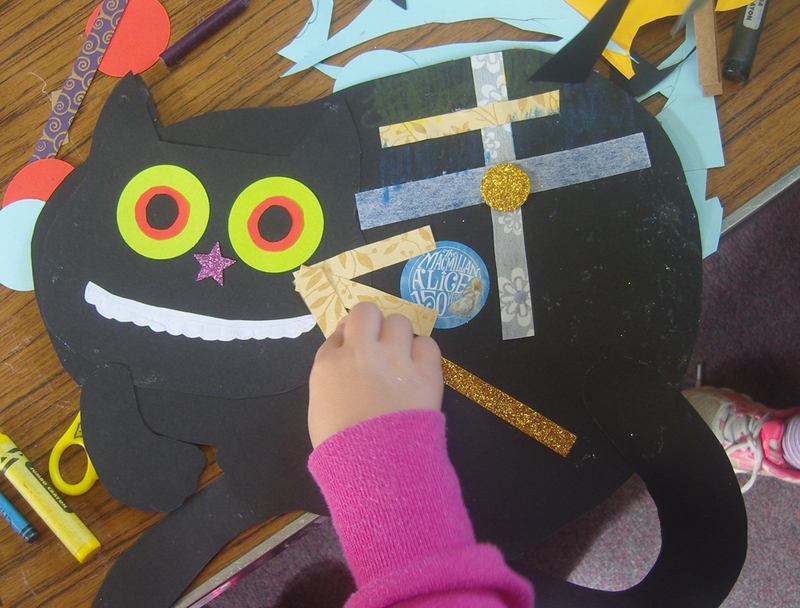 Last week’s “Down the Rabbit Hole” workshops in Essex Libraries were supported using public funding by the National Lottery through Arts Council England and I’d like to say a huge thank you too to all the wonderful librarians and volunteers who assisted with the collage cat creation. 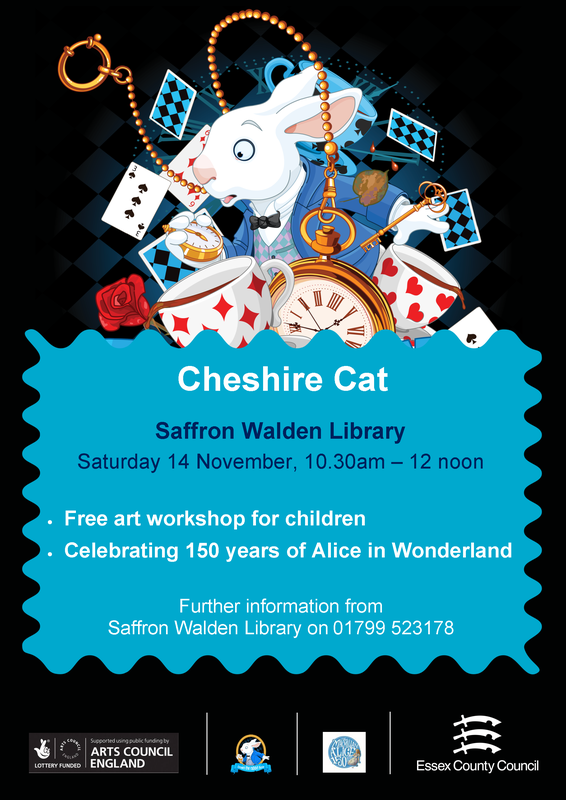 There is still one workshop to go so if your children come along to Saffron Walden Library on the 14th November they can make their very own Cheshire Cat to add to the score!